What is normally covered under preventative care benefits? To encourage consumers to receive the appropriate preventive services, some health care plans offer services covered at 100% when received from an in-network provider. These may include, but not be limited to: hearing screening, cholesterol and lipid level screening, blood glucose test to screen for Type II diabetes, Prostate cancer screenings, breast exam and mammography screening, pelvic exam, pap test, screening for sexually transmitted diseases, HIV test, bone density test, colorectal cancer screening – including colonoscopy, and routine blood and urine screenings. To find out if a specific service is covered under your plan, please call our office so that we may verify that with your carrier before you schedule your screenings/tests. How do check to see if my deductible has been met for the calendar year? 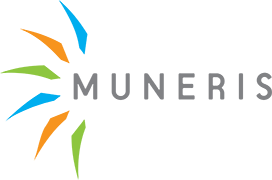 Contact your Muneris account manager or simply log on to your insurance carrier website, which in most cases has a deductible accumulator option. You can review your explanation of benefits online and track your deductible and out of pocket expenses. Who do I call for Claims Assistance? Call our office at (888) 686-3741 for claims assistance and questions. When you call our office you will speak to a live benefits specialist who will be ready to assist you. No recordings or 800 numbers here. We will speak directly to the carrier and get back with you quickly to solve your problems and answer your questions. When Can I Change My Coverage Options? During a Special Enrollment Period (SEP) or during your group’s annual open enrollment period. An SEP is a 30 day period following a HIPAA qualifying event. These include: marriage, birth of a child, adoption, divorce or legal separation, loss of other group coverage, or death of the employee or dependent. How Do I Find Providers or View a Provider Directory? Going to your insurance carrier’s website and searching provider directories is an easy way to get the latest update on your network list of providers. You may need to log-on as a first time user. For additional information contact Muneris at (888) 686-3741. How Do I Maximize My Prescription Drug Benefits? All drug cards have a three tiered co-payment structure with a greater incentive on buying generic drugs. When seeing your doctor, ALWAYS ASK FOR GENERIC ALTERNATIVES AND GENERIC SAMPLES. In most cases, you have a 60% chance of obtaining a generic drug and in some cases, pharmacies will dispense a generic drug with a co-payment. Always ask your doctor for any drug interactions and keep a copy of your drug list with you at all times. How Do I Check To See If My Deductible Has Been Met For The Calendar Year? My Family Payroll Deduction Is Outrageous. Are There Any Other Creative Ideas? We recommend that as an employee you enroll in your group health insurance program. Given the cost of insurance premiums today, many employers do not subsidize dependent coverage. Purchasing an individual policy for your spouse and or children may be a better option. At Muneris, we can assist you with an individual quote for your spouse and children and compare those costs to your group coverage. My Employer Providers A High Deductible Consumer Driven Health Care Plan (CDHP). How Does This Plan Work? A recent Kaiser Family Foundation study indicates that over 40% of all employers will institute a high (HDHP) plan in 2010. A high deductible health plan generally starts at a deductible of ,000 or greater, eliminates any co-payments and first dollar drug coverage. Employees must be savvy consumers, maximize their preventive care benefits, and utilize generic drugs when possible. It is your health care plan thus as the consumer, you are in the driver’s seat. My Employer Has A Health Reimbursement Account (HRA). How Does This Work? HRA’s have become very popular and simply ask an employee to incur a higher deductible and then get reimbursed by the employer. Keeping copies of your explanation of benefits (EOBs) is key to a successful HRA reimbursement. Simply contact your HRA administrator for reimbursement instructions which always includes the sending of an EOB. When Can I Change My Beneficiary? Life insurance is a core benefit under most group sponsored plans. Making sure you update your beneficiaries during a life event is of utmost importance. You can change your beneficiary at any time by contacting your H.R. department or Muneris for the applicable form.